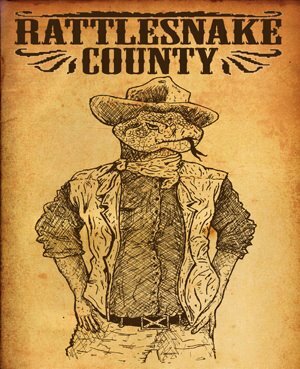 Rattlesnake County will be playing two great gigs in the next couple of weeks. Firstly, we’re excited to be playing in the ever popular and newly-refurbished An Bróg in Cork as part of their January Blues festival! Kick-off is this Thursday, 23rd January, at 9pm. On Friday and Saturday you can catch our musical comrades One Horse Pony in the same venue – highly recommended! We’ll also be playing for the first time in Gallagher’s Pub, Cork, on Saturday 1st February at 10:00 pm. Gallagher’s is a great addition to Cork’s live music pub scene, so we’re really looking forward to it! Rattlesnake County are currently busy recording a demo, so that we’ll have a nice shiny CD to give to anyone who wants one! In the meantime you can check out videos of our live performances at gigs and sessions on our Audio and Video page, and if that isn’t enough, we have more on our Youtube channel. Having kicked off the new year with an excellent gig in the Woodford on January 3rd, we’re looking forward to playing at more venues and festivals around Cork city, county and beyond! We’ll be using this part of the site to announce upcoming gigs, regular sessions and other Rattlesnake County-related news. Stay tuned for updates, here and on our Facebook page.